The winter holiday rituals have soothed our grieving souls. So has our son’s belief in Santa. I read this article and found it very interesting, thought it might be something for you. The article is called In Defense of Magic and is located at http://modernloss.com/in-defense-of-holiday-magic/. The day she died, my daughter Rebecca still believed in Santa Claus. She still believed in the Tooth Fairy that had never come for her. Somehow she still believed in magic. Even though no magic could save her. Her brother Joshua is approaching his sixth birthday now, nearly the same age Rebecca was when she died, and completely believes in Santa. We heard “Grandma Got Run Over By A Reindeer” the other day, and when the words “You can say there’s no such thing as Santa” were sung for the third time, he very confidently assured me that Santa is real, because how else could there be such a clatter on the roof? And then he shook his head in pity for anyone who’d dare to think otherwise. I didn’t correct him. Because why would I? He still believes in magic. It’s a gift, and one more precious than I ever realized. 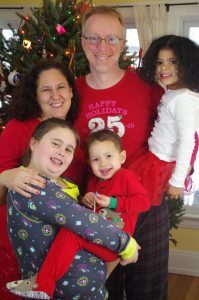 The first holiday season after Rebecca’s death, just six months into our grieving, was difficult beyond words. Just the concept of having one less child to shop for was physically nauseating. My wife Kat, one of the biggest fans Hanukkah and Christmas ever had, just wanted to ignore them completely. If it hadn’t been for our surviving children, Joshua and Carolyn, we probably would have. Instead, we decorated a tree and lit a menorah and read Santa stories and gave each other gifts. For the kids, it was a small island of normalcy in a year that had been anything but. Even though their sister was missing from the predawn excitement of Christmas morning, they could still take comfort in soft glow from the lights on the tree and the front porch. Kat and I just went through the motions, like hollow puppets jerked and pulled into a parody of life. At the time, I thought it was just pretending, and a part of me hated it. It felt dishonest and even disrespectful to light candles and put out cookies and carrots, when such horrible tragedy still crouched in every empty corner. Even now, three holiday seasons on, that feeling hasn’t completely left me. Sometimes the whole idea of holidays feels like a sick farce. But I’ve come to understand the gift of ritual. In moments when you can barely comprehend the world, when you can barely find the will to stand up, the prescribed motions of ritual can help you keep moving. Anchor you to life. Assign you a role to act out, and in the acting, make some part of the role become real. It’s a kind of magic, a spell that can spin threads of healing from the most terrible harvest. This is how we’ve navigated the holidays, and it’s helped. We’ll never be back to where we were, but the glow of family and ritual fills the shadow of loss more fully this year than last, which was more full than the year before. Kat wove a pine-bough wreath for the first time in three years, and hung it by the back door. We bought a new decoration for the fireplace mantel. We got the stoutest tree we could find and loaded it with ornaments. Cookie parties are being planned. 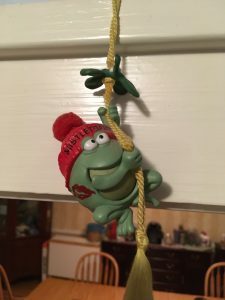 The “Mistletoad” is up. A sense of anticipation has replaced the dread. And we still plan for Santa to come. We’ll follow his progress via NORAD’s Santa Tracker. Joshua will make sure the cookies and carrots are put out by the fireplace, and wake in the morning to find them eaten. We’ll snuggle with him on Christmas Eve, and listen for “such a clatter” on the roof (or the lawn). There will be gifts from friends and family and Mom and Dad and Carolyn and Santa. 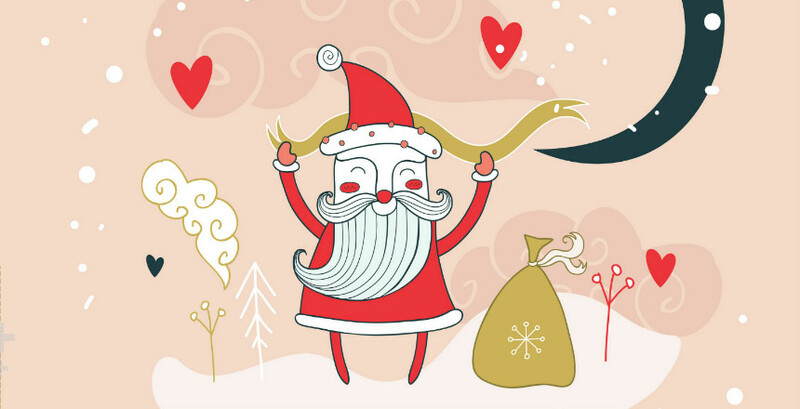 Maybe this will be the last time he has a Christmas where he believes in the magic of Santa. Maybe not. For as long as he does, we’ll make the most of it. We’ll let him have the sense of magic—it’s as much our gift to him as it is his gift to us. Eric Meyer (@meyerweb) is a longtime blogger, author of several technical books, co-founder of the web design conference An Event Apart, technical lead at Rebecca’s Gift, and a bereaved father of two.